Churches in the United States have entered a new season of ministry. Gone are the days when church attendance was a societal norm. For most of our American history, cultural and technological change was gradual, sufficiently paced for churches to lag only five to 10 years. 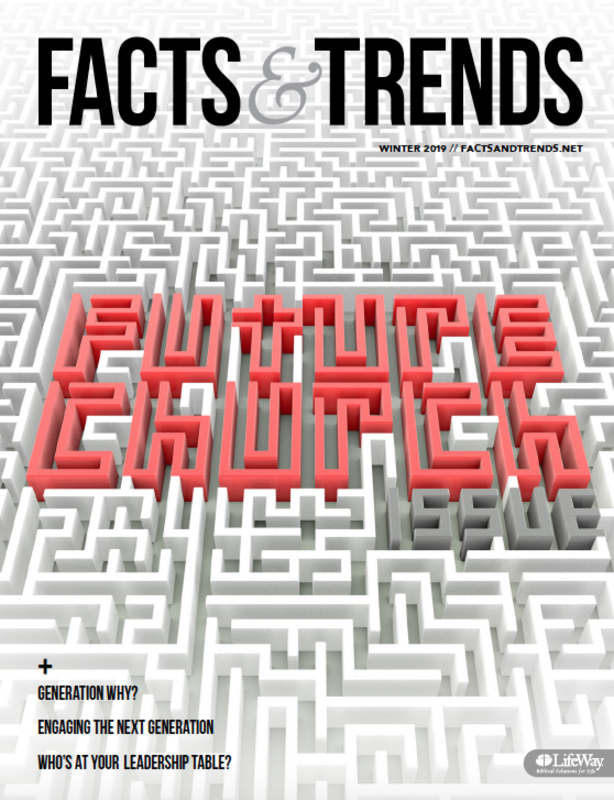 Now churches are lagging 20 and 30 years as the speed of change increases dramatically. To many people, the church seems irrelevant. I am particularly concerned about the declining health of many churches. It’s tempting to blame secular culture, national politics, or church leaders for the declining evangelical influence in today’s culture. If outside forces and culture were the reasons behind declining and non-influential churches, we would likely have no churches today. The greatest periods of church growth, particularly in the first century, took place in adversarial cultures. We are not hindered by external forces; we are hindered by our own lack of commitment, selflessness, and evangelistic urgency. We must remember our purpose. Many of the people in our churches have lost the biblical understanding of what it means to be part of the body of Christ. Church members need to be reminded that God placed us in churches to pray for and love one another, to proclaim and teach God’s Word, and to take the gospel to our neighbors and the nations. We must become houses of prayer. Stated simply, we are doing too much in our own power. Our churches are often busy, but we are not doing the business of God. Revitalized churches have a desperate and prayerful dependence on God. We must cease seeing the church as a place of comfort and stability in the midst of rapid change. Certainly, God’s truth is unchanging. We do find comfort and stability in that reality. But your church may need to change methods and approaches to better meet the needs of those you are trying to reach. Church programs and human traditions often become places of misdirected comfort. “We’ve never done it that way before” is a death declaration. We must learn to be uncomfortable in the world if we are to make a difference. We must emphasize evangelism and discipleship. We have been given the Great Commission to make disciples and build God’s kingdom. To fulfill God’s mission, Christians must go out into the community, love their neighbors, and reach the lost with the gospel. We must focus externally rather than internally. Churches that need revitalization are usually spiritual navel-gazers. They are more concerned with programs for members than reaching the lost in their community. Thriving churches are focused on providing ministry to those outside the church and creating bridges for sharing the gospel. Consider taking a community survey that includes demographic research as well as a survey of spiritual and physical needs. Then look for ways your church can become a more effective ministry force in your community. Too many churches are dying, but I am optimistic about the churches in our nation. I am optimistic about this time we are living in. I’ve seen God deliver a number of churches from the throes of death to become thriving churches. Make no mistake; there is no silver bullet solution. Revitalization will look different for each individual church. However, dying churches have a real possibility of turning things around. Our hope lies in Jesus Christ and being the church He has called us to be—joining in His mission of reconciling the world to Him. When a church moves from poor health to good health, it changes the community. It changes lives. It changes the world. THOM S. RAINER (@ThomRainer) is President and CEO of LifeWay Christian Resources and author of Autopsy of a Deceased Church. Read more at ThomRainer.com. You commented in your article about taking a survey. Would you elaborate more on that? The how to’s and survey content. Thanks. Great perspective. Generally. agree. Change, and improving evangelical approach…….essential. All the church closings: 6000-10,000 per year…..and the numbers still growing, and the leaderships of most congregations still exclude people like me who have come from all kinds of abuse, addiction, and lies. You don’t want us, you lie and say you accept us at first, but when we actually come out with the real issues from the heart of hurt, brokenness and sin that follows, you fear us, judge us and reject us all in the name of God. It’s all about acting right and changing behavior by following the laws, rules and cultural norms….all about looking good for you until one of your leaders fall into the same sin you judged me with when I came and countless to you for help. Eric, I’m sorry for how you feel you’ve been treated. I myself have come from a broken life. Please assemble at church and worship God! I mean basically go to church speak and be nice with others but have your primary objective as spending it with God. Brother, I wish you well and keep at trying to find another church. God truly knows everything and knows your past and future – please don’t give up on the church and mainly God.